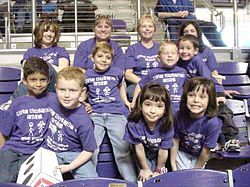 On Saturday, February 22, 2003, some members of our kindergarten class as well as their friends and family attended the TCU Horned Frog basketball game. 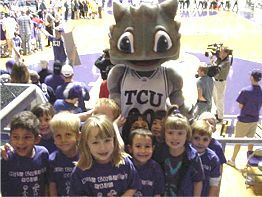 We had a lot of fun cheering on the Horned Frogs during their game. 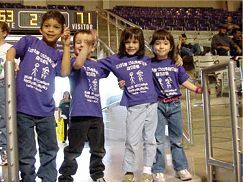 As you can see from the pictures, both the kids and the parents got into the Horned Frog spirit and cheered on the home team. 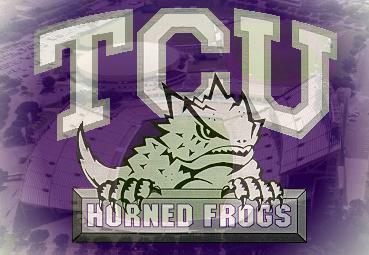 Unfortunately, TCU lost the game, but they gave it a good fight and turned it into a nail biter at the end. 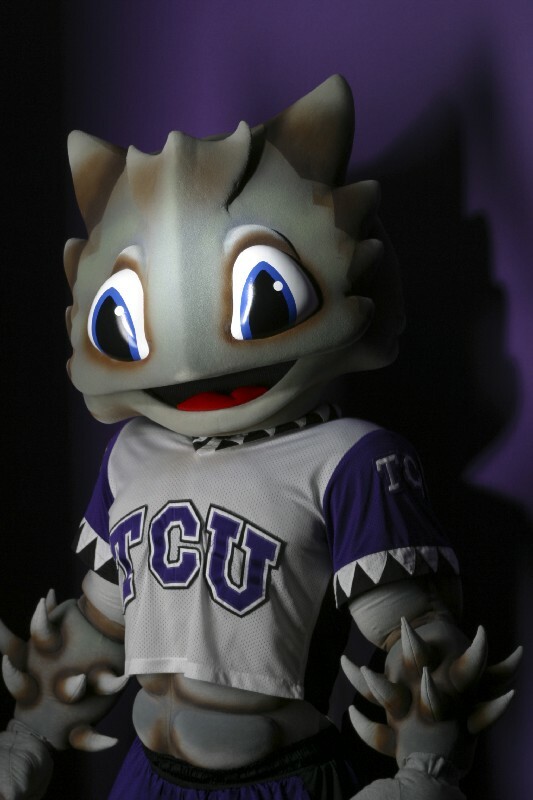 TCU's mascot, "SuperFrog", even came up to hang out with us for a while. He even took time to pose for a picture with the group. 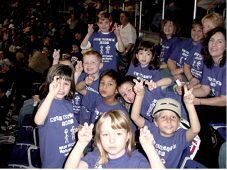 We had fun at T C U ! 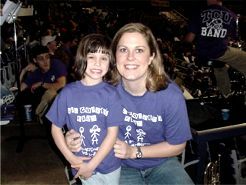 We definitely showed our TCU spirit at the game....not to mention, that with our purple class shirts, we fit right in! Thanks to everyone who attended. We had a lot of fun! Use Internet 3.0 or higher in order to hear music.